Want to Advertise? Need to Know More? The Eichler Network, through its web site and CA-Modern magazine, is dedicated to meeting the home maintenance, renewal, and furnishing needs of mid-century modern households throughout California. CA-Modern Magazine is mailed each quarter to 20,000 mid-century modern homeowners in Northern and Southern California, with a readership of 42,000 adult consumers. Consisting of this dynamic and informative website (EichlerNetwork.com), a handsome four-color quarterly magazine (CA-Modern), and the annual Eichler Network Home Maintenance Directory*, the Eichler Network connects service and product companies with California's most enthusiastic homeowner/customers: the owners of California's mid-century modern homes, including Eichler, Streng, Cliff May, Alexander, and other mid-century modern homes. When you team up with the Eichler Network as a Preferred Service Company, you become a member of an 'expert team' supported by an integrated package of marketing benefits that puts the spotlight on your products and services. The Eichler Network's team goal is to emphasize quality and workmanship while preserving the wonderful world of California's mid-century modern homes. To see the latest issue of CA-Modern Magazine in a large format, click on the magazine image. Exclusivity. The Eichler Network offers only a limited number of memberships in each service or product category, ensuring that each member receives the greatest marketing advantage. This exclusivity benefit varies by service type and region. Official 'Preferred Service Company' Listing. After a thorough screening process, the Eichler Network puts its name behind only those companies with a proven track record of quality service and experience working on mid-century modern homes. The Preferred Service Company roster is prominently displayed at all times on EichlerNetwork.com as well as in each issue of CA-Modern. Full-Year Advertising Coverage in CA-Modern. Advertising experts know that frequency is critical to building brand recognition, product preference, and customer response. That's why you receive a full-year (four issues), full-color display ad in CA-Modern magazine, finely targeted by region with multiple size options. Annual Eichler Network Home Maintenance Directory. Eighty-nine percent of Bay Area Eichler Network readers look to the annual Eichler Network Home Maintenance Directory for valuable information about the Network's Preferred Service Companies. Bay Area Eichler-focused members receive a half-page, full-color written company profile in this valuable annual publication. Each profile includes a professional photograph of key company personnel with accompanying company background, and stresses the 'human' side of your company and its positive business philosophy. The Directory is distributed to Bay Area Eichler homes only. Company Profile on EichlerNetwork.com. A comprehensive written company profile on EichlerNetwork.com, which includes your full-color company logo. Your company profile also links to your company website and email address. Editorial/Article Resource. 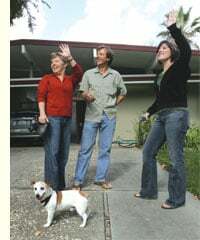 Preferred Service Companies qualify as professional go-to resources for home-improvement articles featured in CA-Modern magazine and on EichlerNetwork.com. Not everyone can become a member of the Eichler Network. Joining requires a solid record of good customer service and quality workmanship and approval of the State Contractors License Board and Better Business Bureau. ** The Eichler Network offers only a limited number of memberships in each service or product category, ensuring that each member receives the greatest marketing advantage. The Eichler Network and CA-Modern magazine reach owners and residents of mid-century modern homes across California. Ninety-five percent of these enthusiastic readers own the homes in which they live, reflecting both significant purchasing power and sales potential. Many of these classic homes are valued from $700,000 to $1.4 million or more, and their owners are passionate about both enjoying the lifestyles afforded by their unique homes and protecting their investments. These homeowners demonstrate their passion for their homes and for high-modern living by investing their time and money into stylish furnishings and dedicated maintenance and home renewal. They also truly appreciate service companies and product providers who understand and cater to their special homes and lifestyle. 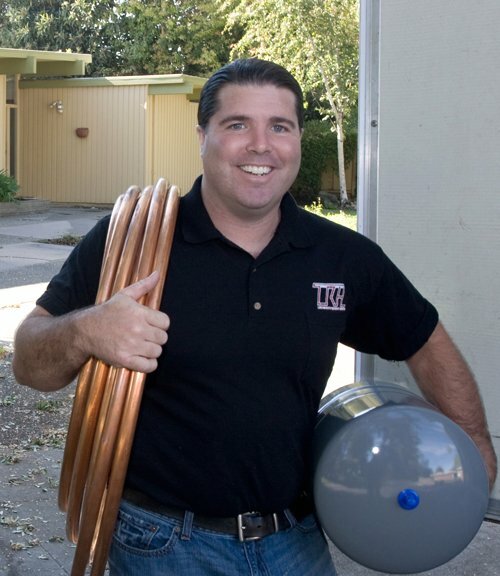 94% rate regular home maintenance as "very important"
"Our affiliation with the Eichler Network has improved our business tremendously, and we can't recommend the Network enough. Thank you for your hard work, integrity, and vision as you've helped us serve the Eichler community." -- Richard Abril, CEO, Abril Roofing, Inc.
"I can now say that linking up with the Eichler Network was the best advertising decision I've ever made! Business is booming! Working with Director Marty Arbunich has been a pleasure with no pressure. I'm glad to be part of the team!" "We have advertised in quite a few home improvement/design magazines, but CA-Modern has been successful for us, which is why we continue... We get a steady amount of prospective leads which turn into high-paying customers. 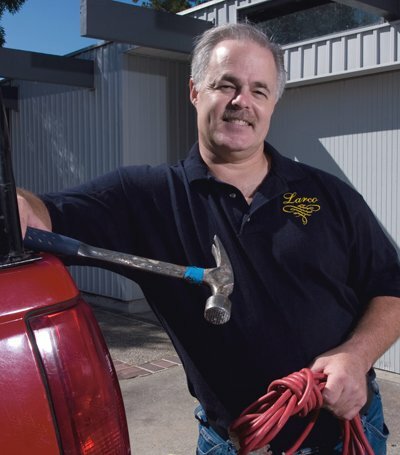 We also get great referrals from our Eichler customers as well as repeat business." Service companies in the San Francisco Bay Area, Sacramento-Davis, and Southern California areas interested in exploring marketing opportunities through the Eichler Network, its website, and CA-Modern magazine should email the Eichler Network, or phone an ad sales representative at 415-307-3801.